Back pain is one of the world’s most common health problems in the world today, and it results in the most cases of disability globally. It is also the most common cause of disability among younger individuals. For example, in the US, lower back pain is the leading cause of disability for those age 45 and under. A 2006 estimate was that 26 million adult Americans under the age of 65 were experiencing chronic lower back pain. Lower back pain also leads to other problems for adults. According to researchers, not only do 28% of adults with lower back pain say that it limits what they can accomplish but lower back pain also leads to the risk of serious psychological distress being increased fourfold. Office Work – Sitting all day can be tough on the spine. In order to counteract this problem, a person should keep work spaces ergonomic. Keep monitors at eye level, so you don’t have to tilt your head forward. Make sure your chair allows your feet to touch the ground (or at least a stool). And be sure to get up at least once an hour to stretch or walk around a little. Technology Use – Monitors at an office aren’t the only type of technology leading to back pain. Overuse of mobile devices has a major effect on posture. When the head is tilted forward at angles up to 60 degrees, the 12-pound weight of the average head becomes up to 60 pounds of pressure on the spine. Try to keep mobile devices at eye level if possible when in use. Overuse – Whether repetitive motions from work or a single case of lifting something outside of your abilities, straining the muscles and joints can cause damage and lead to pain. Driving – Sitting behind the wheel of a vehicle for hours at a time, whether for work, travel, or other reasons can result in back pain, especially if proper posture is not maintained. This is by no means a comprehensive list of the causes of chronic back pain. Of course, sudden trauma like a car accident or a sports injury can also lead to long-term pain, even if the back didn’t seem to take the brunt of the injury at the time. Unfortunately, one of the most common coping mechanisms, nonsteroidal anti-inflammatory drugs (NSAIDs) such as ibuprofen, may be causing additional problems while providing very little benefit. Consider the results of a study involving more than 6,000 patients. The study wasn’t trying to minimize the value of pain relievers when it comes to assisting people who are in pain with mitigating that symptom. However, pain medications do nothing to correct the underlying problem. This means that while these medications may provide some pain relief in the short-term, they are not a long-term solution to the problem. Another thing to consider is that these drugs have side effects. For example, according to the study, someone on NSAIDs is 2.5 times more likely to have a stomach problem than someone who is not taking this type of medication to deal with back pain. 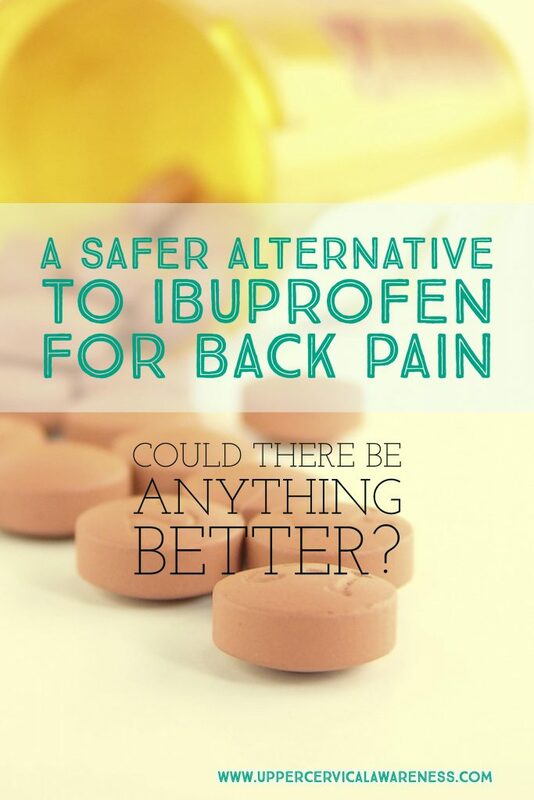 If you are one of the millions suffering from back pain, don’t feel that the only way to get relief is from a bottle. Not only do these medications cause potentially harmful side effects, but they also do not address an underlying cause that is frequently overlooked by the medical community as a whole. What is this common cause of back pain? These shifts can also lead to a chronic pain condition known as sciatica. What is sciatica and how is it caused? Sciatica is a very common condition that affects the lower back. As much as 3 million people per year may deal with sciatica in the US alone. Sciatica is caused when something compresses or irritates the sciatic nerve, one of the largest in the body. The sciatica nerve springs from the lower part of the spinal cord and then branches down either side of the body throughout the hips, buttocks, and each leg. As a result, sciatic pain is usually felt on just one side depending on where the irritation or compression is taking place, usually somewhere in the lumbar region. The pain of sciatica may begin following trauma such as a car accident or a fall. However, sciatica is often related to degenerative problems in the spine. For example, a disc may become herniated in the lumber spine and begin to press on the sciatic nerve. Again, upper cervical misalignments can have far reaching effects in this region of the body. One of the most common ways to check for an upper cervical misalignment before diagnostic imaging is to compare leg lengths. A C1 or C2 misalignment will eventually cause one shoulder to become higher than the other. This, in turn, causes one hip to drop and leg lengths to become uneven. The uneven hips can result in degeneration of the lumbar spine and lead to sciatica. In this case, it is important to correct the underlying problem in the neck in order to ensure long-term relief of lower back pain. Let’s look at two cases studies that show the benefits of upper cervical chiropractic care for both lower back pain in general as well as sciatica in particular. The case study involved a 15-year-old female patient with a history of scoliosis and lumbar (lower back) pain. Using the Cobb scale, the girl’s scoliosis was measured at 44 degrees. The patient also suffered from vertigo, which is a false sensation of movement (i.e. the room spinning suddenly). Diagnostic imaging revealed that the girl did indeed suffer from an upper cervical misalignment. The patient visited an upper cervical chiropractor 35 times over the course of 4 years and 2 months. However, she was only adjusted the 5 times that her atlas (C1) was out of alignment when examined, so adjustments averaged once every 10 months or so. Further x-rays showed a correction of the atlas misalignment. Lower back pain and vertigo were both completely gone. Doctors had previously recommended surgery to correct the severe scoliosis, but by 5 months into care, the scoliosis had been reduced to 32 degrees on the Cobb scale. By the completion of the study, the degree of scoliosis had further been reduced to 25-degrees and surgery was no longer recommended. This study reveals the benefits of upper cervical chiropractic in caring for lower back pain, even when that pain is being caused by something as serious as a scoliosis severe enough to warrant surgery. Once again, diagnostic imaging was used to locate and measure a misalignment of the atlas (C1). Over the course of 17 months, the patient required 47 upper cervical adjustments. What were the results? By her first reevaluation, she expressed that she was no longer experiencing sciatica on her left side, and all of her fibromyalgia symptoms has cleared up completely. She was able to resume her normal daily schedule and found sleeping much easier. Sciatica in her right leg improved by 60%, and she was able to stop taking all of her prescription medications. By the next reevaluation, she was no longer experiencing any back pain whatsoever, and her headaches had also resolved. 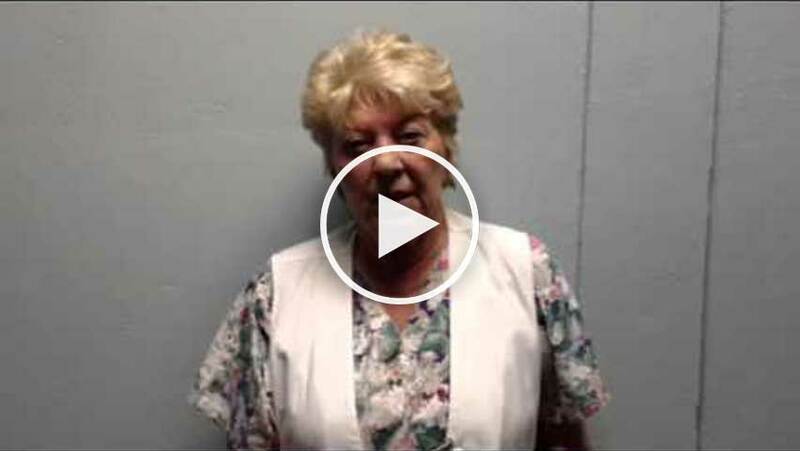 Sciatica on her right side was now considered 98% better with just a mild case continuing. Previously, the patient had required wheelchair assistance due to her pains. Within six months of the start of her care, she no longer used the wheelchair. These dramatic results show the benefits of upper cervical chiropractic when it comes to severe conditions such as sciatica and other health problems. However, you may want to know a little bit more about what upper cervical chiropractic is, so let’s see how this specialized form of chiropractic is likely different from anything you’ve ever experienced before. There are a number of different types of upper cervical chiropractic techniques including NUCCA, Advanced Orthogonal, Knee-Chest, the Blair Technique, and more. We don’t have time to address all of the different methods in detail here, but what we can do is give a general overview of the difference between upper cervical techniques and general chiropractic. Upper Cervical Focus – The first big difference is that upper cervical chiropractors (with a few exceptions) really only deal with the top two bones of the spine – the C1 and C2 (atlas and axis). We believe in a top-down approach to spine health because research shows that the position of the top bones of the spine affects all the rest of the vertebrae. Low-Force Corrections – Upper cervical care involves very gentle adjustments. Even the knee-chest method, which is considered the most physical of the methods, is still considered a low-force correction versus the high-force popping and twisting of general chiropractic. Other methods such as Advanced Orthogonal are hands-off and use a chiropractic adjusting instrument. Low-force corrections are safe, allowing upper cervical chiropractors to work on patients of all ages, and also result in long-lasting adjustments that the body is more likely to accept. Diagnostic Imaging – While the means of diagnostic imaging differs from method to method, one thing upper cervical chiropractors have in common is that the atlas will not be adjusted without accurate measures of the degree of misalignment. General chiropractors may or may not use x-rays, but upper cervical chiropractors work in hundredths of degrees of subluxation. As a result, exact measurements are necessary. This also allows for adjustments to be personalized to each patient. As-Needed Adjustments – Have you ever been to a general chiropractor and not received an adjustment? It’s highly unlikely. Upper cervical practitioners, on the other hand, use supine leg checks and other physical examination methods at each visit to determine if atlas alignment has held since the last visit. Adjustments are only provided when you need one. This saves the patient money and allows for visits to be spread out further apart as corrections hold longer and longer. Even if you have been disappointed in chiropractic experiences in the past, upper cervical care is a very different form of holistic care. If you are experiencing lower back pain, sciatica, or any of the other conditions that upper cervical doctors have been able to help patients with in case studies, find a practice in your area to get started on the path to whole body wellness.